In this blog I describe how to set up a first minimal Continuous Integration environment for ABAP with Jenkins. Therefore an Odata-Service on the Netweaver system is created which returns whether all tests of a package are successful or not. 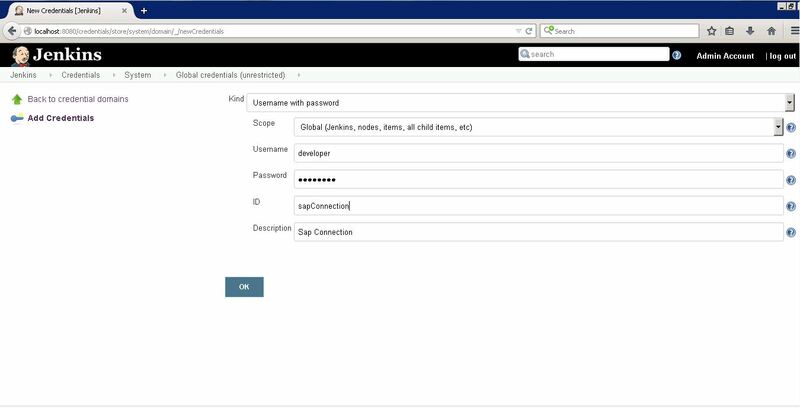 A step by step documentation of the creation with SAP Gateway can be found here. On the Jenkins side you need on top of the default installation only additionally the HTTP Request plugin. The fiels of the request plugin are filled with the url of the created Odata-Service, valid credentials to connect to your SAP system and a simple configuration to process the received response. In the recent years there were a lot of helpful things introduced in the ABAP universe. ABAP in Eclipse as the new development environment and also cool new language features like table expressions or enums. One important thing I am still missing is a tooling for a Continuous Integration environment (short CI). Unit tests are there in ABAP since a long time and also frequent commits to a common repository are moreless standard when developing in ABAP. The first step in a Continuous Integration environment is mostly a daily build and testrun. Therefore the open source tool Jenkins is perfect. The creation of an Odata service which delivers the result whether all unit tests of a package are valid or not is described here. The installation of Jenkins is rather straightforward. The latest version can be downloaded from https://jenkins.io/. Download, install and it is already up and running. To access the Odata Service from Jenkins the HTTP Request plugin is used. The plugin can be installed in Jenkins via the Plugin Manager. On the tab “Available” the plugin can be found in the endless list by using the filter tab on the right side. To access the Odata Service of the SAP system a valid SAP user is needed. The user is configured as Jenkins user under the Credentials menu. The important fields are username and password. The main feature of Jenkins is configuring different jobs which perform certain tasks called build steps and deliver a message if all build steps where completed successfully. In our case only one build step is needed. Calling of the Odata-Service for test execution with the Http Request plugin. Response code expected – you can stay with the default values, I prefer to use the status code 200 only. Reponse content expected – this is important. The value has to be as shown in the screenshot, exactly the string TESTRUN_OK. Below you see the cron expression to start the Job each day at 7 am. But there are infinitive configuration possiblities like starting more times a day or only on weekdays. On the bottom of the job configuration you can setup notifications, for example that an email is sent in the case the build did not deliver the expected result, in this case if the build does not contain the string “TESTRUN_OK”. interesting aproach for CI with ABAP. I really like that you also came across with a #ADT plugin! great Work! We do not – unfortunately – use unit tests very wide … not even #ATC … for several reasons. For those who will not have the time to setup #Jenkins etc, there ist a SAP report that runs #ABAPUnit tests an sends Mails :RS_AUCV_RUNNER might be helpful. Thanks. I am still at the beginning with the abapCI plugin, lets see how far it evolves. The usage of Jenkins is in my opinion is only an option to keep in mind if you want to ensure the CI over an entire stack which includes also not ABAP parts. For an Netweaver only system there are already plenty of tools to ensure software quality – thanks for pointing out the Testrunner above. 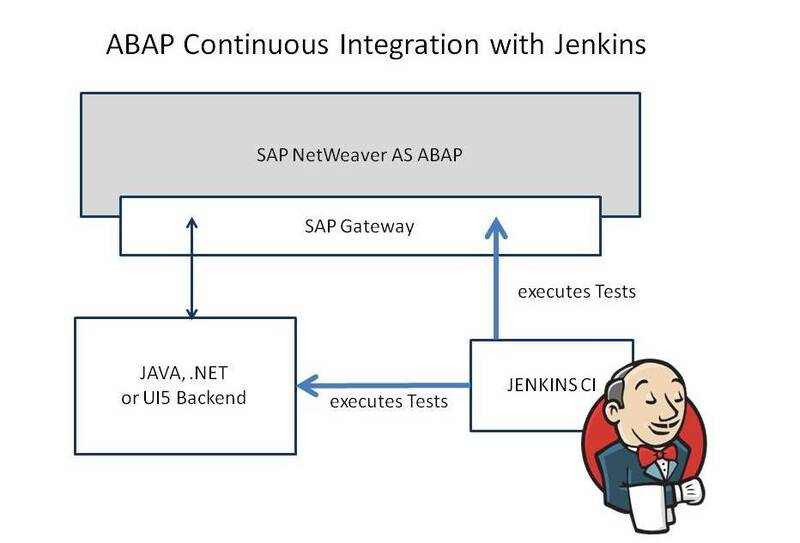 But there are two working situations I like to have Jenkins also taking care of the ABAP development packages. To be able to trigger immediately the automatic testing of all dependent not-SAP software components when an ABAP-package change is done. Jenkins in combination with abapGit would be a great approach for continuous integration. Do you have already experience with additional checks next to ABAP Unit like the ATC for example? I hoped you had an approach with an easy http call from jenkins and the ATC is triggered through ABAP like your ABAP Unit approach :). So I will try the approach from the blog that you mentioned.